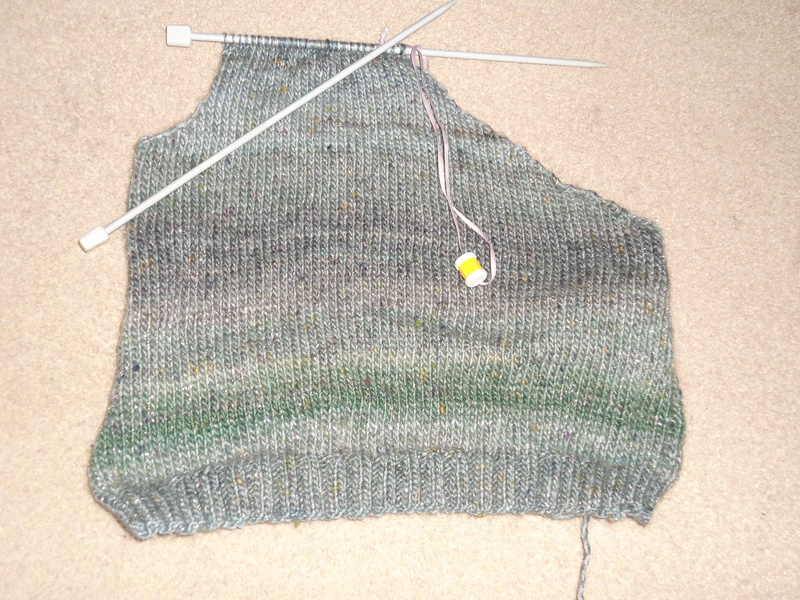 I had to cease knitting of the green top temporarily having discovered what looked like an error on the pattern. Grumble, grumps, darn, etc ….. 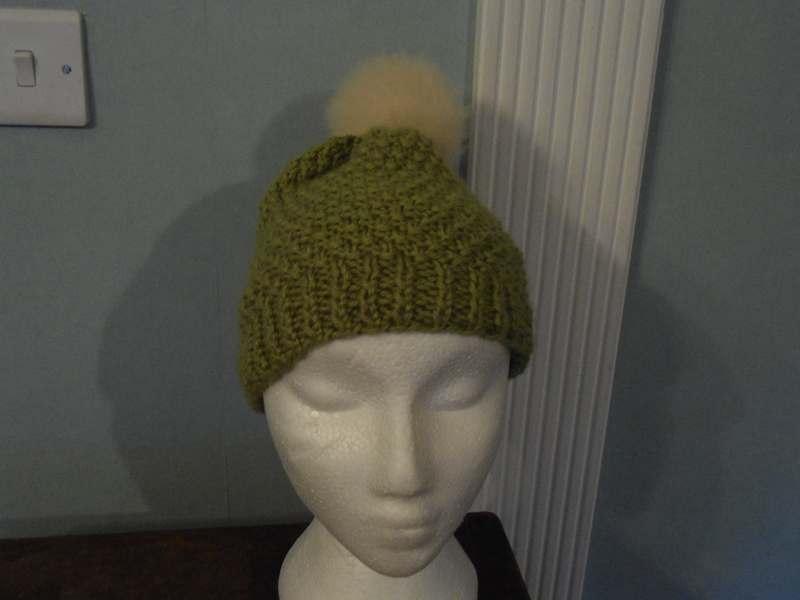 However, I emailed the pattern publisher, who came back to me very quickly and I’ve now been reassured it’s not an error and it will work out if I just keep on knitting. My knowledge of garment structure is being tested and I hope to enjoy a new experience here, revealing the finished garment soon(ish). Today it’s time to get back to ‘the green’ project (I decided to give it a name, it means it differentiates what knitting bag I pick up when I move from knitting venue to knitting venue). That’s an hour planned to myself in the car this afternoon whilst waiting for my son at his tutor’s house. So, having had a little break from ‘the green project’ this week what jumped upon new needles was a ‘baby pink project’, photo here. This was supposed to be a very simple quick knit, which it is, but it has made me review how neat my garter stitch only style is (or isn’t). 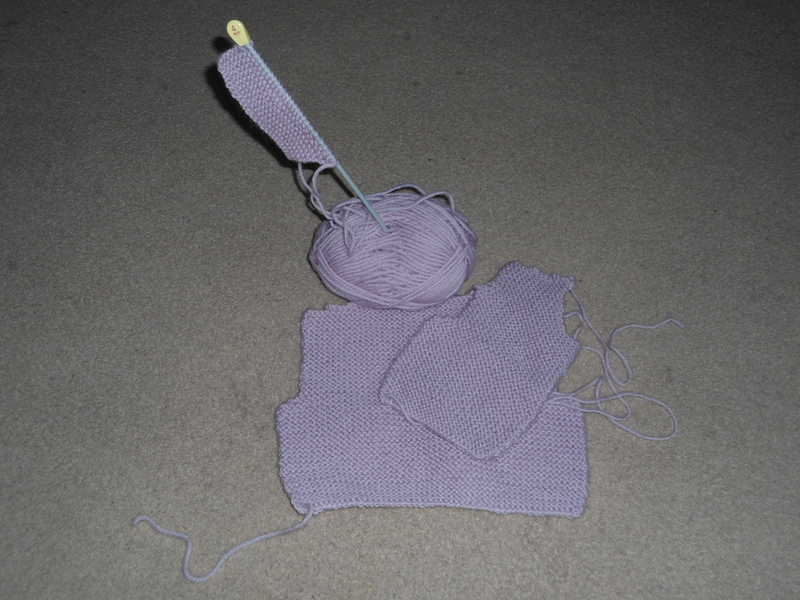 I am hoping with completion and blocking I shall be more impressed with it than I am now. I have not made anything solely garter for a long time. It was reminiscent of early knitting and the yellow teddy I made when I was 7 years old. I hope my style has got a lot better since then. Oh how I wish I had kept that first knitting project. If only we knew which things would seem important in years to come. I don’t even have a photo of it. Apart from the knitting, life is incredibly busy, although I did pop a lovely relaxing book club meeting in to my schedule last night. It was great to meet up with the other members, chat about books and other stuff. I think the one male member of our group was very patient when we set off at a tangent briefly (he may say not so briefly!) and talked about knitting and sewing, bless him, we did steer back round to things we all have in common eventually. Work, well for me, yesterday was the penultimate day there. Friday is my last session. Getting slightly concerned now about the future, but pleased the month is almost over. I feel I need to plan my time properly, and need time in which to do the planning! Anyone else feel like that? This entry was posted in Uncategorized and tagged book club, garter, knit, time. I’m just back from a 4 day break in France. OOh all that lovely time to knit. I knit in the car (3 hours on the French roads each way, so glad hubby’s happy to drive! ), I knit in our house in front of the fire, I knit on the sofa with the sun streaming through the window whilst my menfolk play football in the garden. The intention was to actually finish a smallish top by the end of next week – to show off a particular yarn I admire – and to hopefully get a few wears of it before the warmer weather comes along. It’s a variety of green shades with a sparkly silver thread runny through. I think I’ll get more than a few wears of it this winter/spring – I usually wear woolies right through to May and it’s only February. Mind you, we’ve had the most glorious sunshine for two whole days – I even went out for a long walk yesterday to make the most of it. Everyone else out and about seemed smiley too so I don’t think I was the only one enjoying the weather. 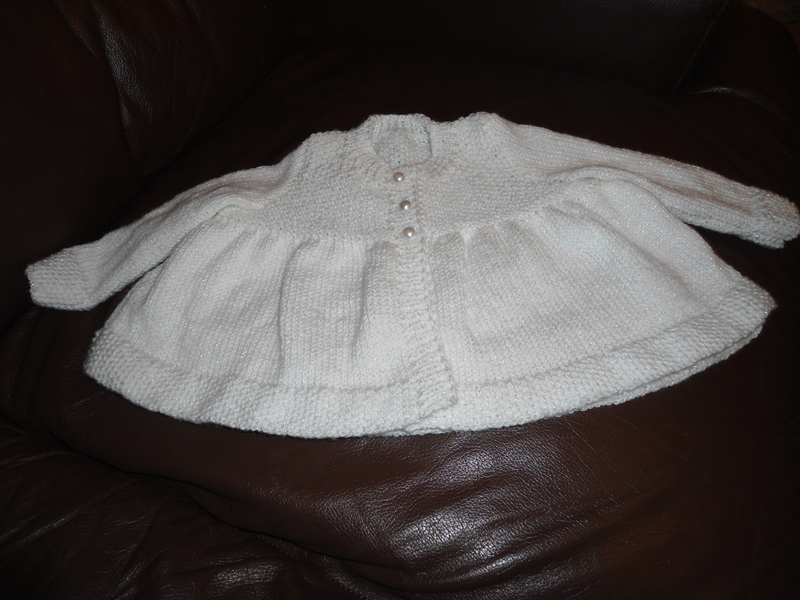 So piccy is of the top mentioned, my latest WIP, although I have to admit and incy wincy baby top has been started too …… Hope to finish both by end of next week! Happy knitting to you all. This entry was posted in Uncategorized and tagged knit, knitting, yarn. Nearly 2 weeks into working my notice at the knit shop and counting down. First of all I had the initial ‘nervousness’ that came with planning to resign which continued for a day or so after I’d done it. Then I moved on to ‘excited anticipation’ accepting I had done the right thing. The first day back into work I threw myself into working hard and tried to convince myself I’d be missed in future, which led to feelings of ‘have I done the right thing?’. Then back to ‘excited anticipation’ since then for a few days! There are more ups and downs to working a notice period than I was ever aware of. I think this must be as I have no firm plan to what happens next at this time of my life. My vague ideas for 2014 post February are a little scary but if I didn’t jump ship now I am not sure how/when I could have done it. I left former jobs with very different emotions. One job move was from a local job to a London job – I couldn’t wait to start that new journey. Another was to leave a job for maternity leave – I couldn’t wait for that one either and I was obviously on a time limit! This time, my plans are my own and loose. I am hoping once I am not formerly employed then I shall move on in leaps and bounds. Meanwhile, knitting should be therapy – but I don’t seem to be getting anywhere too fast. I have finished one item, a matinee jacket, and half of another baby set. I should have used my time better and made more. Oops, again! Pic is matinee jacket – all sparkly and fun! This entry was posted in Uncategorized and tagged knit, matinee jacket, resign. What a couple of weeks! No longer at a knitting store. I had a major decision to make this month and I finally made it. I resigned yesterday. I soul-searched and soul-searched and finally decided if I didn’t do it now I could drift on for a lot longer in the same place doing the same things. I have many plans, they are just in my head at the moment and need acting on. So, after February 2014 I no longer work in the knitting store! This will not discourage me from knitting, of course, I have a huge stash of yarn and it will not stop me adding to it or searching out new projects to begin. The one thing it will stop me from doing is daydreaming constantly about what project to do – I shall hopefully be a little more selective. I used to spend much of my day looking at the stacked shelves, squishing yarn (nothing wrong with either of those things!) yet would then purchase more yarn to take home, to look at there and start/stop/start another project constantly. Knitting a little at home has definitely calmed me down during this decision making process. Husband cannot see how knitting at work and knitting at home then knitting as therapy works and I have no medical analysis to back it up, however, the gentle rhythm of winding that wool around those needles and slowly creating something beautiful has been cathartic. I’ve popped a little pic onto this blog post of one of my recent projects. Again, a hat. Many baby items are on the go, camera not in the same room as me so more will follow next time. I hope I can encourage those readers today to make those decisions. I truly feel a weight has lifted this morning. I recommend trying to work out anything that’s wrong and to try to make it right! 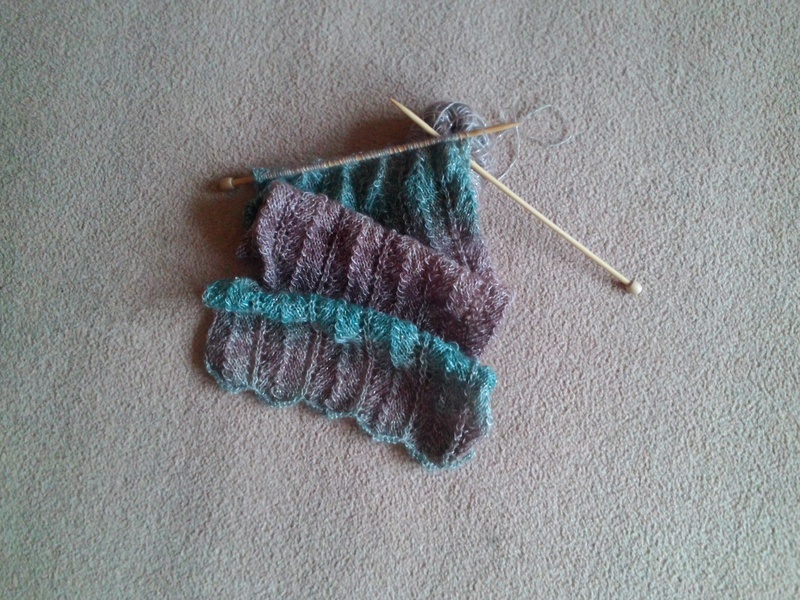 This entry was posted in Uncategorized and tagged cathartic, decision, knitting, resigned, yarn.